We strive to provide the most accurate information possible. The dental night guards suggested in this article are basic appliances to alleviate teeth grinding, jaw clenching (bruxing) and to protect your veneers, crowns and bridges. They can even be worn as an anti-aging device. Some individuals require custom made dental night guards. Custom made guards are used to treat issues such as jaw alignment, Severe TMJ and tooth misalignment. A licensed dentist will be able to evaluate and determine which dental guard is best suited for your needs. In a dental office the average cost of these occlusal devices can be anywhere from $300-$1000. Online you can get them for as low as $80. What gives? People are even applying through their dentist for Care Credit, a medical credit card a custom fit dental night guard (sometimes called an occlusal guard). As if our society isn’t in enough debt, it’s everyday situations like these that make things even worse. I was watching a documentary from director Tom Shadyac (of Ace Ventura) called “I Am” Its good stuff! watch it if you get a chance!). The film touched on something that I found myself thinking about over and over. Tom talked about how nature only takes what it needs and how we as humans, get into this mindset of “needing more”. Why is it that some people have more than enough while others are struggling to get by? On a larger scale, medical cost is a huge political issue and since I am just one tiny person I won’t tackle that giant. Maybe later. Right now, I just want to focus on a tiny important area amongst a big giant blob of a problem. The Dentist and their dental night guards. Below are five top reasons you should not let a dentist make your dental night guard for clenching or teeth grinding. Unless ,of course, you can talk them down to a reasonable price. There is no difference in the process or material used to make the guard. None! Do not think you are getting a better quality guard through a dentist because you were duped into paying a premium for it. It’s a sham, a ruse, a hoodwink!. Whether you’re dealing with nighttime or daytime jaw clenching, teeth grinding, protecting your new veneers or tongue biting, a lab made occlusal night guard will protect your teeth from physical harm. Even if you go through a dentist, most likely they will send it to a dental lab and their fee is less than a quarter of what the dentist is going to charge you. *PRO TIP: avoid the urge to buy cheap walmart type ‘one size fits all’ guards. These types rarely last more than 6 months. They’re uncomfortable. They don’t stay in place at night and can even worsen your bruxism. Most dental offices offer no replacement warranty or satisfaction guarantee. Let’s say you pay $500 for a night guard. You then go spend the weekend at Aunt Bernie’s house in the Hamptons (bear with the scenario will you? We like to paint pictures.) You wear your new night guard like you’re supposed only to come back home and realize HOLY CRAP! You left that $500 piece of royal plastic in the guest bathroom! You call Aunt Bernie. That old bat can’t find your prized possession anywhere! You call your dentist. They offer to make you a new one at a discounted price, they still have a stone mold of your teeth, how gracious of them. You shell out another $250 for a brand new night guard. 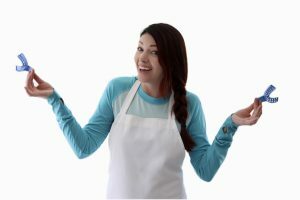 What if you receive your night guard and simply can’t get used to it?Good luck getting a dentist to remake your appliance or work with you to find the right type of night guard for you. Want to switch to a different material or type of night guard? Forget about it! Most of the time you will hear these words “Go home. Wear it for a few hours at a time. Take it out. Give your teeth a little rest and try it again. You will get used to it.” Even then if you still say it’s too uncomfortable, some dental offices will charge you to adjust your night guard. As Vizzini from ‘The Princess Bride’ would say “Inconceivable!”. 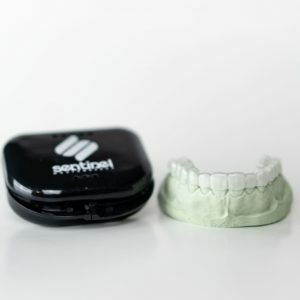 One of the great things about Sentinel Mouthguards is that we will work with you to guarantee you have the right night guard. This includes trying a different material type, changing dental guard thickness, switching to a lower guard instead of an upper. Example situation: Customer ordered a hard night guard but had issues getting used to the material and we switched to the soft type instead. Try to find another dental night guard company that will do that! 9 times out of 10 the dental night guard is not covered by your insurance. This needs no further explanation. Good luck getting your insurance to cover even a portion of your dental night guard. Insurance companies don’t want to pay hundreds of dollars for something non-invasive, and pretty inexpensive to make so why should you? If you have ever been confused by your own dental insurance plan you are not alone. Here is an excellent Reddit thread that breaks down how your dental insurance works compared to regular medical insurance. 4. Your Dental Night Guard Is Being Made By Someone Other Than Your Dentist. The dentist does not make your night guard. Nope. They do not. I know, I know, you are crushed right?? I mean, if I’m paying several hundred dollars for a professionally made custom fit dental night guard, I want my dentist to be back in the lab constructing and cutting and polishing and doing everything to make my perfect fitting appliance. Instead, the dentist sends the dental impression (that most often THEY didn’t take. I’ll bet my last dollar a dental assistant took your dental impression) off to a dental lab. Our team cares. We are a specialized dental night guard, teeth whitening and athletic mouth guard lab only. We take the time to trim, polish, and make sure your night guard is fitting like a glove before shipment. 5. You Can Take Your Dental Impression Yourself. You are perfectly capable of taking your own dental impression. We’re talking about a plastic tray and some putty that resembles play dough. You mix the putty up, place it in the tray and submerge your teeth. That’s it! It’s not rocket science. If it were, dental assistants all over the world would be struggling daily. Tip when ordering online: Read the directions carefully when taking your own dental impression. Do not take your own dental impression if you have loose teeth, loose dental work or if you have braces. 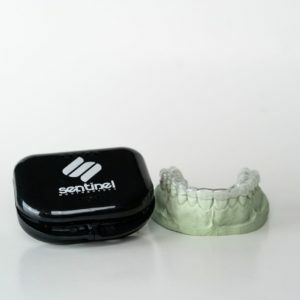 If you mess up your dental impression for whatever reason, a reputable online night guard lab will send you a new kit free of charge. We use disposable dental impression trays unlike most dentists who clean and reuse the alginate trays time and time again. Some dental assistants forget to rinse the plastic alginate trays after removing from cold sterilization. Ever had cold sterile solution in your mouth? YIKES! 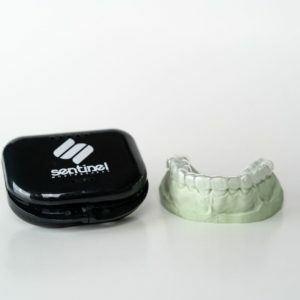 You can rest assured that your mail order dental impression kit from Sentinel Mouthguard Co. will come with brand new trays. Dental Night Guard Thickness: Which To Choose? Hard, Soft, or Dual Laminated Night Guard: Which is right for me? Once your order has been placed you will receive a do-it-yourself dental impression kit. This kit contains two plastic trays (choose which one fits best), blue and white putty paks, instructions, and a prepaid return mailer. Taking your dental impression is EASY! Check out our “how to” video. Upon receipt of your dental impression, we will make your custom appliance within 8-12 business days. That’s it! We will mail a redo impression kit to you free of charge. 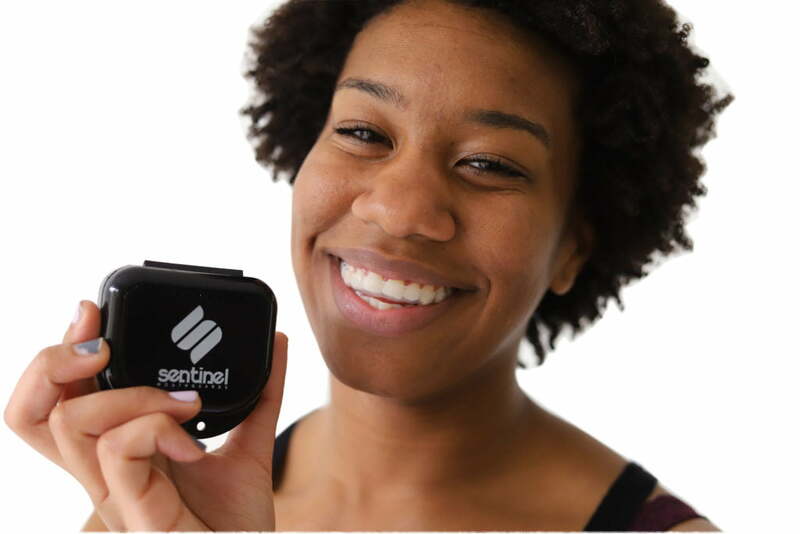 Keep in mind that the Sentinel warranty and return policy is unlike any other. We stand by our products and will always work with you. 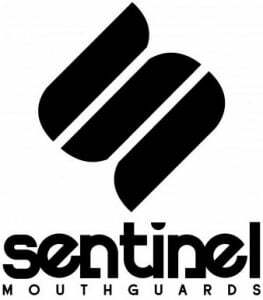 This means that if you are dissatisfied with your product for any reason, you can either contact Sentinel within 90 days for a full refund or opt to continue working with us until you get a great fitting guard. Our commitment to you is 100% satisfaction. We keep all impressions on file for one year from the purchase date. Place a new order. Be sure to use coupon code alreadyhavestone to receive 20% off your order. Upon receipt of new order we will pull your existing dental impression on file and get to work! Have you ever seen a really old night guard? A woman on the phone told me the other day her daughter calls her “meth mouth” when she puts her night guard in because of the yellow and brownish stains that permeate her once clear appliance. She confessed that she wasn’t the best at taking care of it. Often times, she would simply remove it in the morning and leave it on her sink without even rinsing. This is where it would sit all day, filled with saliva until she quickly rinsed and placed it in her mouth at night before bed. She was so excited to be purchasing a new, shiny clear guard. 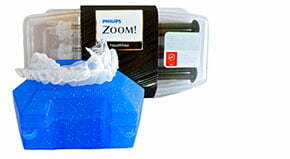 It is true that over the years of constant nightly use, a night guard can begin to discolor no matter what lengths you go to to keep it clean.However daily cleaning and a weekly denture cleaning solution soak can keep your night guard sparkling for far longer than if you didn’t implement a proper cleaning regimen. Take a soft toothbrush and squirt a bit of mild, organic soap onto the brush. Scrub each tooth compartment thoroughly. Don’t forget the front and sides of the guard. Rinse all of the soap off of the appliance. This next step is imperative. Take a soft towel and dry your night guard completely. Sitting water or saliva or a combo of both can be a breeding ground for bacteria. Moldy spots can appear and/or yellowing & browning overtime. If your night guard was made using a fusion of layers, the layers can separate if left in water. What about a denture soak? Yes you can do a quick 2-5 minutes soak once a week or two. Don’t soak overnight. 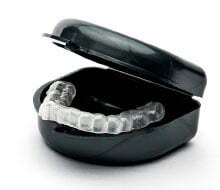 Many consumers tell us that they have ordered a night guard from their dentist only to be disappointed in the fit,usefulness and ability to wear it comfortably at night. If you do decide to cough up the cash and pay a dentist then you should be certain that they are going to work with you to your complete satisfaction. It’s one of the perks of going through a dentist. That is, the ability to get your night guard adjusted to your exact specifications if needed. If you have started looking into the subject of bruxism and you’re trying to understand nighttime teeth grinding/jaw clenching, you’ve probably already noticed some real inconsistencies and downright contradictions out there. For example the NTI night guard, is controversial in its usefulness and effectiveness. Some even say the small device is dangerous because of the potential to swallow it during sleep. Yet it’s popular. Some dentists ONLY make the NTI guard in their office. Others swear against the use of it. TMJ is one twisted issue. Everyone is different and dental anatomy, habits and pathology vary widely from person to person. You may very well have to go through some trial and error to gain control of your bruxism and/or TMJ. If you opt to tolet your dentist make your night guard, pay attention to what your dentist tells you. Be proactive and seek to understand your disorder. Make changes in your lifestyle to lessen the severity or intensity of the grinding/clenching.